In today's episode Nate and Austin compare Spike Jonze's best and worst rated films, Her (2013) and Where the Wild Things Are (2009), respectively. Austin absolutely hates a child's happiness, Nate is a little too into Her, and these sexists finally pick a female director. Check back next Sunday at 7pm PST where we will compare Kirsten Sheridan's August Rush (2007) and Dollhouse (2012), her best and worst rated films. Be sure to check out the podcast that I was a guest on recently, Cynical Cartoons. You can follow him on twitter @FutureHorsePod. PLOT: Yearning for escape and adventure, a young boy runs away from home and sails to an island filled with creatures that take him in as their king. In July 2006, less than six weeks before the start of shooting, the Henson-built monster suits arrived at the Melbourne soundstage where Spike Jonze and his crew had set up their offices. The actors climbed inside and began moving around. Right away, Jonze could see that the heads were absurdly heavy. Only one of the actors appeared able to walk in a straight line. A few of them called out from within their costumes that they felt like they were going to tip over. Jonze and the production crew had no choice but to tell the Henson people to tear apart the 50-pound heads and remove the remote-controlled mechanical eyeballs. This meant that all the facial expressions would have to be generated in post-production, using computers. Initially, Warner Brothers studio was so unhappy with Spike Jonze's final movie (it was much less family friendly than they imagined) that they wanted to re-shoot the whole $75 milion project in early 2008. Jonze was eventually given some more time and money by the studio in order to make the final product satisfying to both, the studio and himself. The studio decided not to position the film as a kids movie and spent 70% of the media for it on broad based and adult driven buys. Spike Jonze was approached by Maurice Sendak and was asked to take on the film adaptation. A movie had been on the burner since the early 90s, and Mr. Sendak had not been able to find anyone fitting to take it on. PLOT: A lonely writer develops an unlikely relationship with his newly purchased operating system that's designed to meet his every need. Samantha Morton was originally the voice of Samantha. She was present on the set with Joaquin Phoenix every day. 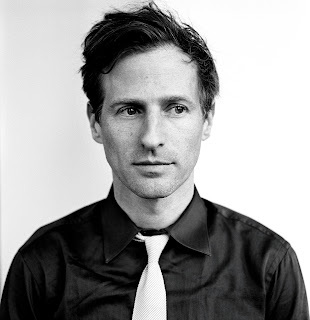 After the filming wrapped and Spike Jonze started editing the movie, he felt like something was not right. With Morton's blessing, he decided to recast the role and Scarlett Johansson was brought and replaced Morton, re-recording all the dialogue. Most of the city backgrounds, especially the ones featuring skyscrapers, are actually filmed in Shanghai. You can see many very identifiable skyscrapers such as the Shanghai World Financial Center. There are even Chinese signs if you look carefully. Amy Adams said writer/director Spike Jonze would essentially lock her and Joaquin Phoenix in a room together for an hour or two every other day, and make them talk to each other. Jonze did this so that the actors could get to know each other better. Adams credits this for her and Phoenix's close friendship. During some of the more emotional scenes, Amy Adams would sing songs from famous musicals like "Annie" and "The Rocky Horror Picture Show" in order to cheer herself up. Eventually, Joaquin Phoenix would join in and they would sing together. However, they stopped after they saw Spike Jonze filming them.